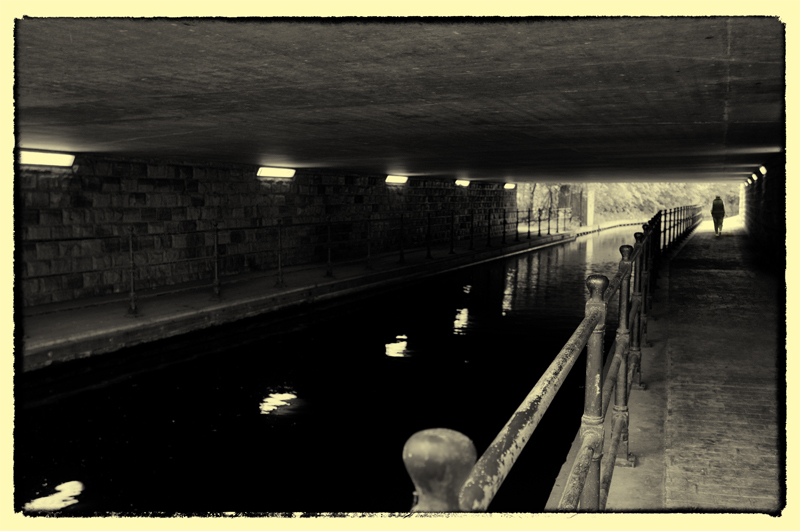 This is where Ripon Canal runs under the A61. I was taken by the stark, hard lines after walking along the tow path in wonderful countryside. I spotted this as a potential mono picture. All the lines take the eye to the daylight at the end of the tunnel.